I am at a scrapbook retreat this weekend. I have spent the last 3 days stamping and altering things. 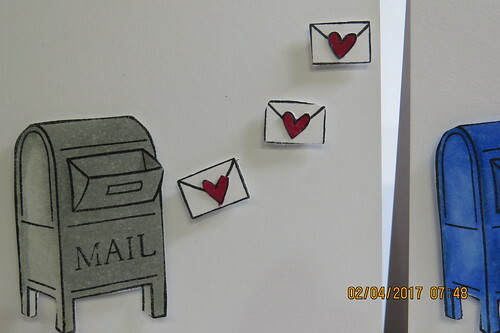 Tonight I am going to share the mailbox Valentines I made featuring the Lawn Fawn set You've Got Mail. I started by stamping all my pieces and coloring them. 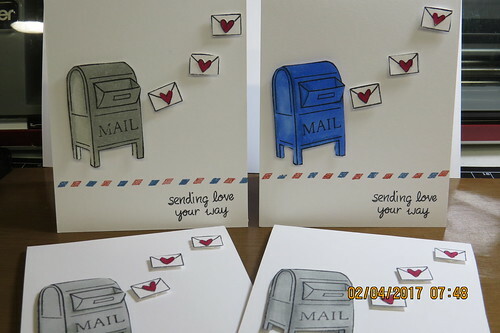 I couldn't decide on a color for the mailboxes so they varied in grays and blue. After I finished coloring all the pieces with my Spectrum Noir markers I ran the stamped, colored pieces through my scan n cut and let the machine do all the hard work for me. 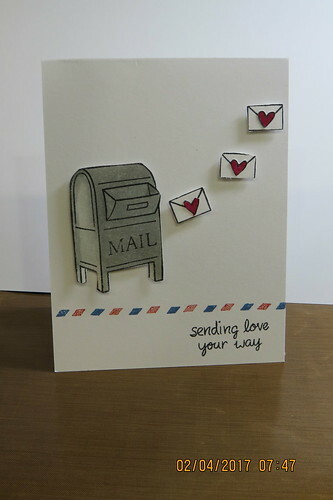 Finally I popped the pieces, added the airmail boarder and the sentiment.